At a time floatplanes and flying boats were barely capable of leaving the water, the Frenchman Jacques Schneider introduced in 1911 at a banquet following the 4th annual James Gordon Bennet race for landplanes the Schneider Cup for a similar race with seaplanes. One of the rules was, that the winning country had to organize the next race. The official name of the prize, in French was “Coupe d’Aviation Maritime Jacques Schneider”. If an aero club won three races in five years they would retain the cup and the winning pilot would receive 75,000 francs. The races were supervised by the F.A.I. (Fédération Aeronautique International) and the Aero Club in the hosting country. Each club could enter up to three competitors with an equal number of alternates. 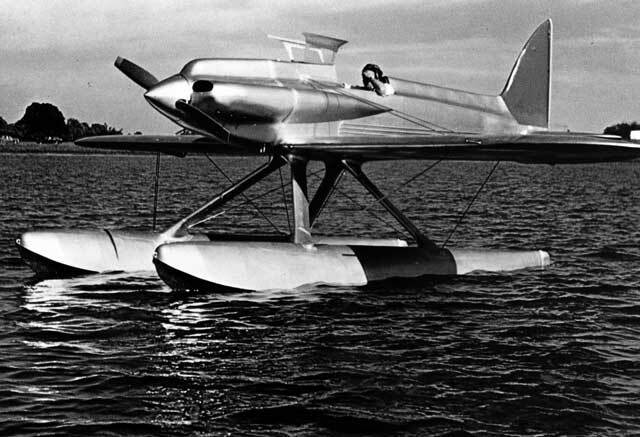 Jacques Schneider, the son of a wealthy arms manufacturer, had a vision that the seaplane was the best and fastest way to span the big oceans. Without the need of airfields and runways and with all harbour and boat facilities this would in his vision be the only relevant way of air transport. It WAS indeed a vision that resulted not only in the fast development of the floatplane over the years, but also in the availability of a new generation of very powerful aircraft engines. 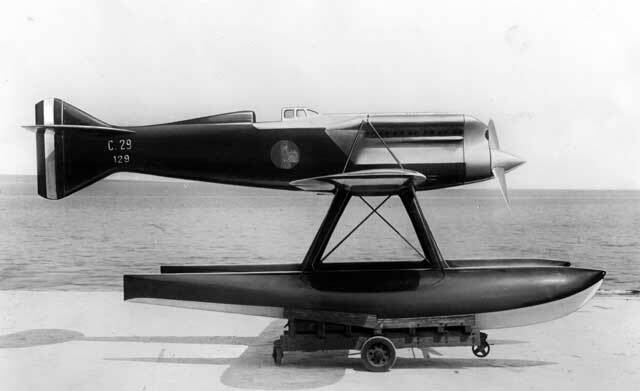 It is very striking that the ultimate Schneider Cup racer, the Macchi-Castoldi MC-72, set a world speed record for seaplanes that is still unbeaten today, although it never participated in any Schneider Cup contest. Sadly enough for Jacques Schneider himself, he died on 1 May 1928 at the age of 49 only as a poor man at a time vast amounts of money were spent for the trophy he had introduced! In this article, we will not only give an overview of the most important Schneider Cup racers, but also of the lesser known types that never qualified! One thing must still be said on the Schneider Cup: although it is mentioned so even in Italian, it actually was not a cup. It is more precisely described as a Trophy. In fact it was a sculpture of bronze and glass showing some ancient figures from the Greek and Roman mythology. It is now exhibited in the Science Museum in London. It can be seen at the same location where the Supermarine S-6B is also exhibited. The first Schneider Cup race was held in 1913 in the Mediterranean Sea with the start and finish just outside the port of Monaco over a course of exactly 10 km. The course had to be flown 28 times. Since the race was won by a Frenchman, France was again the organizing country for the next year. For the 1914 race, the same course was followed as in the preceding year. The British team won the race, but because of the outbreak of the First World War the next Schneider Cup race was held in 1919 at Bournemouth UK just outside Poole harbour. Because of very dense fog, only one plane flown by the Italian pilot Janello managed to finish the 20 miles triangular course ten times. However, since he used the spare marking boat lying ashore as a turning point, he was disqualified and the whole race was nullified by the organization. It was not until 1922 that Janello was as yet declared as official winner. In spite of Janello’s initial disqualification, Italy was prepared to be the host for the race of 1920. It was held outside the port of Lido in the Adriatic sea where a triangular course of 37.117 km had to be flown ten times. 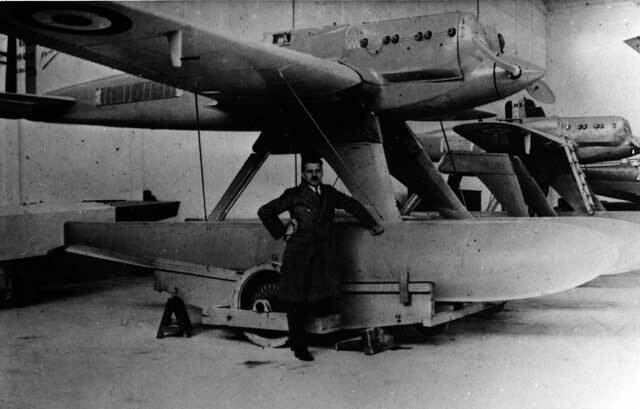 Only one pilot, the Italian Luigi Bologna managed to pass all qualification tests for the race which he won flying alone in his Savoia S.12bis flying boat. Also in 1921 the race was held in Venice, although on a different course of 24.6 km. to be flown 16 times. Only the Italians managed to qualify for the race. The only French contender, Sadi Lecointe in a Nieuport-Delage racer, had to withdraw because he failed in the navigability test. The race was won by the Italian pilot Giovanni de Briganti in a Macchi M.7. The two other Italian pilots both failed to finish. The Italian victory meant that the next race in 1922 was also hosted by Italy. This time the contest was held in the Golfo di Napoli with start and finish at Napels harbour. A triangular course of 28.5 km had to be flown 13 times. Although the Italians had a very strong team, the UK won the race when Henry Biard finished in his Supermarine Sea Lion II races with a speed of 145.7 mph. Three Italians scored at the next places. In 1923 the UK organized the event at Cowes on the Isle of Wright. A course of 37.2 km with tow turning points between Cowes harbour and Selsey on the British mainland had to be flown 8 times. 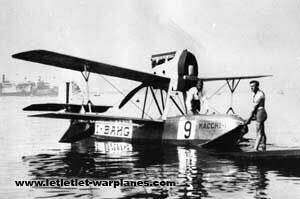 This year, the Americans entered the race with a number of specially designed very fast and powerful floatplanes. Lt David Ritterhouse and Lt Rutledge Irvine scored very convincingly a first and second place with their Curtiss CR-3 racers that were some 36 km/h faster than Henry Biard who finished third with the good old Sea Lion racer! Only these three pilots managed to finish. The 1924 race was hosted by the U.S.A. at Baltimore where a triangular course was set out in the Chesapeake Bay. The US team was well-prepared with their Curtiss racers. However, both the UK and Italy were unable to use their racers that year, The Americans were sportive enough to postpone the race for the next year! In 1925, the Baltimore race was convincingly won by Jimmy Doolittle in a Curtiss R3C racer. The UK pilot Hubert Broad finished second in his Gloster III racer while the Italian pilot de Briganti finished third and last. All other competitors retired or failed to meet the preliminary tests. In particular the UK was very unlucky with its new Supermarine S.4 racer when Henry Biard flew it at high speed in a shallow dive into the Chesapeake bay because of extreme flutter. He luckily survived the crash! The contest of 1926 was again hosted by the Americans. Location was also near the Chesapeake Bay, although it was a different course than that of the previous year. Start and finish was at Norfolk naval air base with a triangular course of 50 km over the Hampton Roads waters. The course had to be flown 7 times. It was a race between the Italians and the Americans; there were no entries from the U.K. this year! Winner was major Mario de Bernardi in his Fiat A.S.2 racer. Lt Frank Schilt and Lt Adriano Bacula finished second and third while Lt William Tomlinson finished as fourth and last in his Curtiss Hawk floatplane. The 1927 contest was again hosted by the Italians in Venice. It was flown over a course of 50 km set out above the Adriatic Sea with start and finish in front of the excelsior Hotel on the Lido boulevard. The course had to be flown seven times. This time, it was an all-British affair with Flt. Webster and Flt. Worsley as first and second in their Supermarine S.5 racers. All other contestants had to retire during the race. Because of the ever increasing time and costs to develop and build the special racing planes, it was decided that from this year the Schneider Cup race was to be held every two year, instead of every year. With the UK as a host, the next race was held in 1929 near Calshot naval air base on the south coast of the UK. Here, a 30 km course had to be flown seven times. Start and finish was near the pier at Ryde on the Isle of Wight. Flight officer Waghorn completely out-flew the Italian competition in his new Rolls Royce ‘R’ powered Supermarine S.6 racer with an average speed that was more than 70 km/h faster than Dal Molin in his Macchi M.59R. D’ Arcy Greig finished third in the Supermarine S.5. Flight officer Atcherly also succeeded to finish the race in the second S.6, but he was disqualified for cutting a pylon. With two races won on a row, the UK needed a third victory to become the permanent owner of the Schneider Trophy. However, the 1931 races, to be organized again by the U.K. were far from certain since the Italians came the conclusion that their latest Macchi-Castoldi MC.72 racer would not be ready in time. 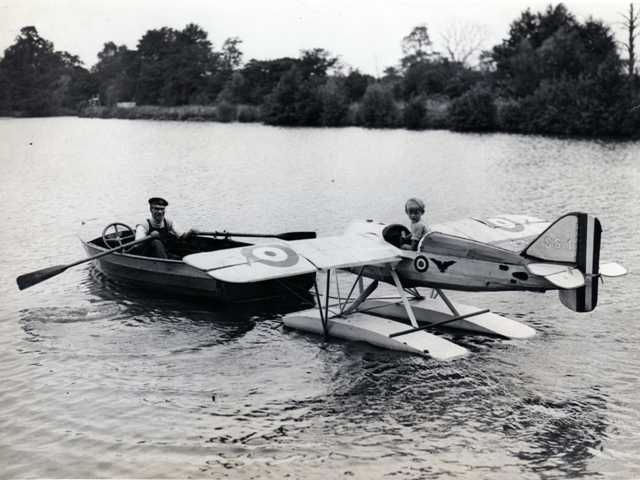 Further, the RAF had withdrawn its financial support because ‘they saw no further need’ for financing these expensive seaplanes. At the last moment, a wealthy British widow, Lady Houston, decided to give sufficient financial support for further improvement of the Supermarine S.6 racer. With a further up-rated engine it was designated as the S.6B. There were no other competitors for the race of this year and that meant it had to be flown alone by the S.6B. Flt. Lt J.N. Boothman made this final flight to secure the trophy for the U.K. when he finished the 7 laps of the 50 km course with an average speed of 547 km/h. Initially, only modified landplanes like the Sopwith Tabloid and the Deperdussin fitted with floats were used. Though the races were not held during the first world war years, aircraft development progressed very quickly during those years. At the first race after the war in 1919 we already see specially designed racing planes like the Savoia S.13 and Supermarine Sea Lion. In just a few years, we also see the development of these still quite cumbersome flying boats into aerodynamically refined and highly powerful floatplanes combining the smallest possible airframe with the most powerful engine. We also see that the average speed of the winning plane almost tripled from 189.7 km/h in 1921 to 547.3 km/h in 1931. The ‘big players’ in the Schneider Cup racers were Italy, the UK, the USA and initially also France. Oddly enough, Germany never played any role in this contest although Dornier designed during the twenties two times a special Schneider Cup racer. Both designs, however, never progressed any further that the drawing board! We will now shortly review a number of important and less important racing machines designed and built by the four most important participating countries. However, a number of them, in particular from France, were either never entered in the races or failed to qualify……. 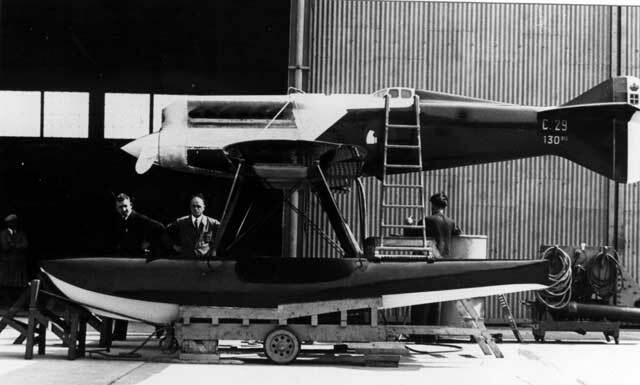 The Macchi M-7 flying boat was successfully entered in the 1921 race where it finished first. Even the next year, the M-7 managed to finish fourth! On the photo we see the improved M-7bis carrying racing number 10 during the 1922 race at Naples when it was flown by Piero Corgnolino. It was powered by a 260 hp Isotta-Frascini engine. In 1922, Cornoglino finished with an average speed of almost 200 km/h. The Macchi M-19 was built specially for the 1921 Schneider Cup contest. It was powered by a 680 hp Fiat A-14 liquid-cooled engine driving a four-bladed tractor propeller. Although it had a much higher top speed than the winning Macchi M-7 of the 1921 race, the pilot Arturo Zanetti had to abort the race when his engine caught fire after a crankshaft failure. The neatly designed biplane flying boat was destroyed by fire after its emergency landing. 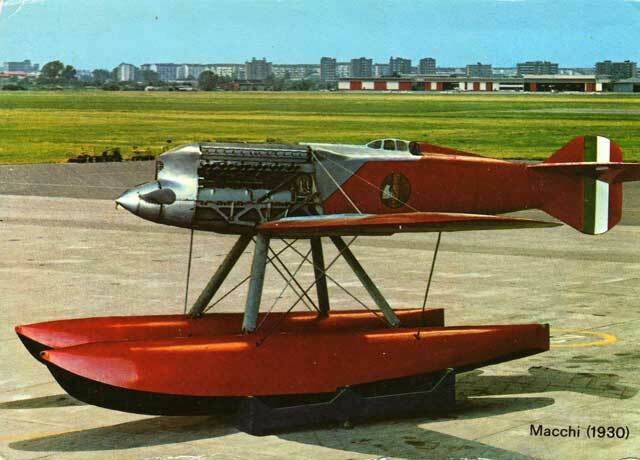 The M-17 was also a small flying boat specially built for the Schneider cup races. Two were built, fitted with a 260 hp Isotta-Frascini engine. The first one with racing no. 36 was destroyed during a landing but the second one entered the 1922 race in Venice where it finished third. It was flown by Arturo Zanetti at an average speed of 214 km/h carrying race numer 9 and the civil registration I-BAHG. 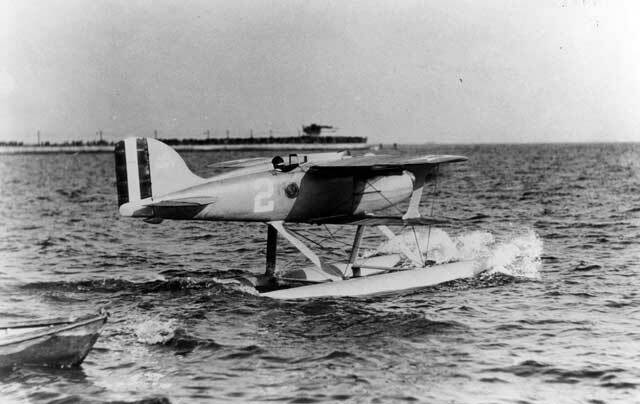 The earlier Macchi M-17 and M-19 flying boat biplanes were finally developed into the Macchi M-33 flying boat racer for the 1925 contest at Baltimore U.S.A. However, with a new generation of floatplanes it was evident the flying boat was a dead end in the Schneider Cup race! Of the two M.33’s entered one had to withdraw and the other finished third and last at an average speed some 100 km/h less than the winning U.S. Curtiss racer! 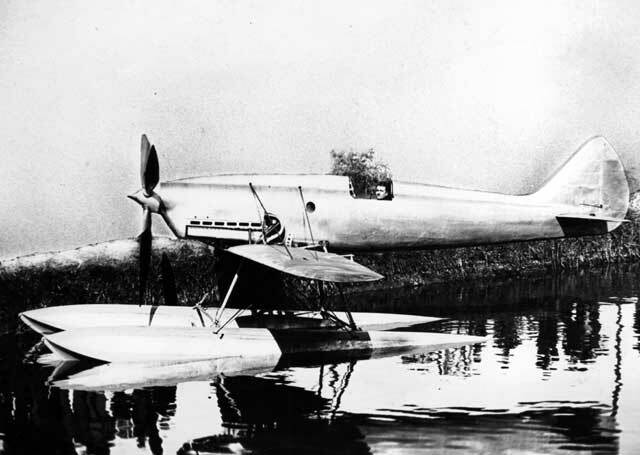 Macchi developed a completely new racer as a low-wing floatplane with the most powerful engine available: the 800 hp Fiat A.S.2. As type M-39, three were built for the 1926 race at Hampton Roads, U.S.A. Another fourth machine with a lower rated engine was built as a trainer, but this plane unfortunately crashed on Lake Varese during test flights killing Commandante Marchese Vittorio Centurione, the Italian team leader. All three M-39’s entered the race, but Captain Ferrarin had to retire on the fourth lap with an overheated engine. Mario de Benardi and Adriano Bacula finished first and third, convincingly beating the U.S. biplane racers. Average speed of Mario de Benardi was a for that time incredible 396.85 km/h. The photo shows the M-39 racer as exhibited today at the Italian air force museum at Vigna de Valle near Rome. Largely based on the earlier M-39 racer, Macchi built for the 1927 Schneider cup races an aerodynamically more refined racing floatplane as the M-52. Three were built; one with the 800 hp Fiat A.S.2 engine and two with an A.S.2 up-rated to produce 1000 hp. They had a shorter wing span than the M-39 while also the twin floats were reduced in both length and volume. The two M-52’s fitted with the 1000 hp engine were capable to reach a top speed of more than 480 km/h. 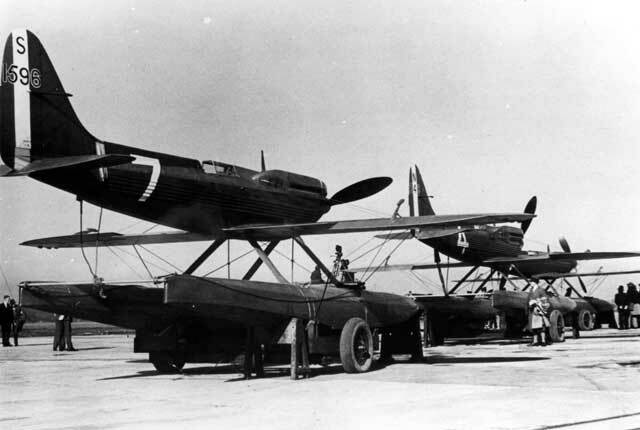 All three M-52’s were entered in the 1927 race at Venice, flown by Capt. Frederico Guazetti, Major Mario de Bernardi and Captain Arturo Ferrarin. All three M-39 had to retire during the final race. Bernardi had to make an emergency landing on the 2nd lap because of engine failure while Ferrarin had already to retire at the first lap with engine troubles. Finally, Guazetti had to retire on the 6th lap because of a leaking fuel line. We can only conclude the Italians were not very lucky with their M-52! On the picture we see the Italian team standing in front of one of the M-52’s . For the 1929 Schneider Cup race, Macchi’s chief designer Mario Castoldi made an even further refined design based on the M-52. It was powered by an 1800 hp Isotta-Fraschini engine which fitted very tight in the airframe with three rows of cylinders bulging on the fuselage nose. Cooling was extended by additional flush radiators fitted on both fuselage sides. Three were built, but unfortunately one crashed during test flights over the Garda lake in Italy killing pilot Giuseppe Motta. That meant that only two machine were available for the 1929 race, which were entered together with one of the earlier M-52 racers. During the race, both M-67’s failed to finish. Giovanno Monti had to retire hid M-67 with engine troubles. The other M-67, flown by Remo Cadringher had to retire when the pilot became intoxicated by engine fumes. The only Italian who finished the race was Dal Molin at the third place in his old M.52. A less successful contender for the 1929 race was the Savoia-Marchetti S.65. It was a highly unconventional design with a very short fuselage with fore and aft mounted Isotta-Fanchini Asso V-12 engines of 1080 hp each. It further had a single tail, mounted on a rudimentary tail boom. With its enormously powerful engines the S.65 had a great potential as a winner. It was entered in the 1929 race, but it failed in the preliminary tests because of engine overheating. It was lost a year later in a crash on the Garda lake killing pilot Dal Molin. Another unsuccessful racer for the 1929 Schneider Cup event was the Piaggio P.7. Just like the Savoia-Marchetti S.65 it was a highly unusual design. It did not have floats as was so characteristic for the other Schneider Cup racers. 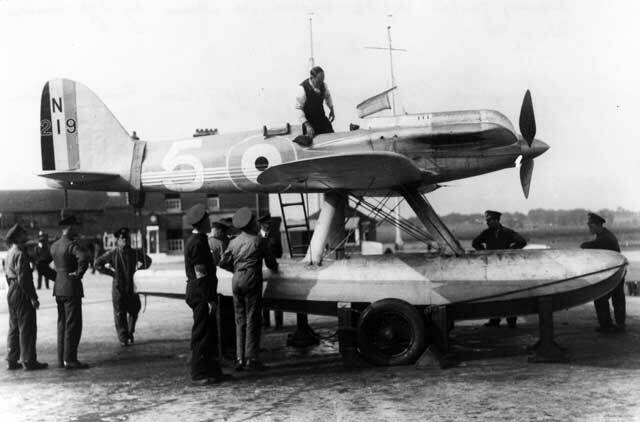 Instead, it was fitted with two short fuselage-mounted hydro-skies and a tail-mounted boat propeller. It was fitted with a 970 hp Isotta-Frascini close-cowled engine driving not only a two-bladed propeller in the nose, but also the boat propeller with a clutch-coupled extension shaft. 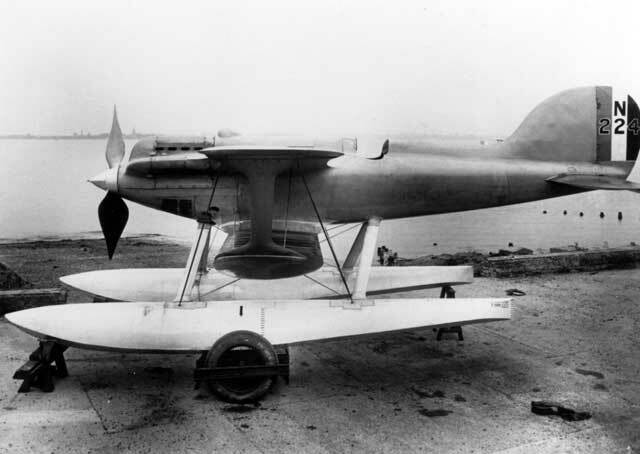 Due to coupling problems with the boat propeller the P.7 never left the water during test flights made by Dal Molin. It only made some test runs on the Garda lake before further development was abandoned. Based on the success of the Macchi racers, Fiat decided to build their own airframe for their liquid-cooled A.S.5 V-12 engine and to participate also in the Schneider Cup event of 1929. Three, or possibly four were built under the type designation C-29, the first one only serving as a an airframe for static testing. The first flying prototype had a vertical stabilizer without the downward extension as on the later machines and it was flight-tested with an open cockpit. Most likely, this first unregistered machine was later used for conversion in the first of the two original racers with registration serials MM129 and MM130. MM129 crashed shortly after take off from the Garda lake but test pilot Francesco Agello could luckily be rescued without major injury. 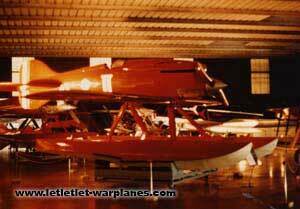 MM130 was shipped to Calshot as a back-up for the Macchi’s, but it was not flown. MM130 is now on exhibit in the Italian air force museum at Vigna di Valle. 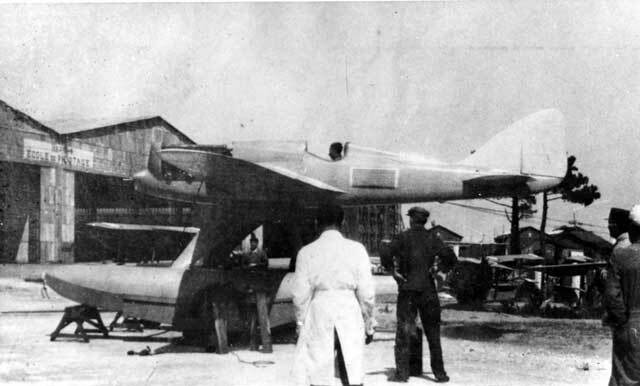 On the photo we see the first prototype with the original tail configuration and open cockpit. Undoubtedly, the last Italian Schneider Cup racer had the potential to be an absolute winner. Designed by Mario Castoldi as the MC.72, this was the smallest possible airframe combined with the most powerful engine available: the Fiat A.S.6. In fact, this engine existed of two coupled A.S.5 engines driving two contra-rotating propellers and producing 2600 hp. For cooling, flush radiators were used wherever there was space, even on the floats and wings! In total four MC.72’s were built, but flying these temperament-full monsters was not found to be an easy task and three of the four were involved in crashes. The MC.72 was entered for the 1931 race, but engine overheating problems were the cause it had to be withdrawn, leaving the British Supermarine S.6B as only contestant. The potential of this plane as a winner was clearly shown three years later when Francesco Agello established with the MC.72 an absolute world speed record of 709 km/h. This record still stands today for this category! The remaining MC.72 is now exhibited in the Italian air force museum at Vigna di Valle. Specially designed by Avro for the 1919 Schneider Cup races, the Avro 539 was in fact the smallest possible airframe that could be designed round the 240 hp Siddeley Puma engine. With its wooden structure and very short fuselage this small biplane was finished well in time for the race of 10 September. It carried the civil registration G- EALG. Although officially entered, it was not flown in the race. It only served as a back-up for the Supermarine Sea Lion I racer. After the Schneider Cup race, it was converted into a landplane to participate in the famous aerial derbies of that time. However, it was damaged in a landing accident. It was repaired and fitted with a much more powerful Napier Lion engine of 450 hp. Re-registered as G-EAXM it was again not very lucky since it was totally wrecked on its first flight. On the photo we see G-EALG in the landplane version. Supermarine designers F.J. Hargreaves and R.J. Mitchell designed based on the N1B Baby fighter flying boat a Schneider Cup racer for the 1919 event at Bornemouth. 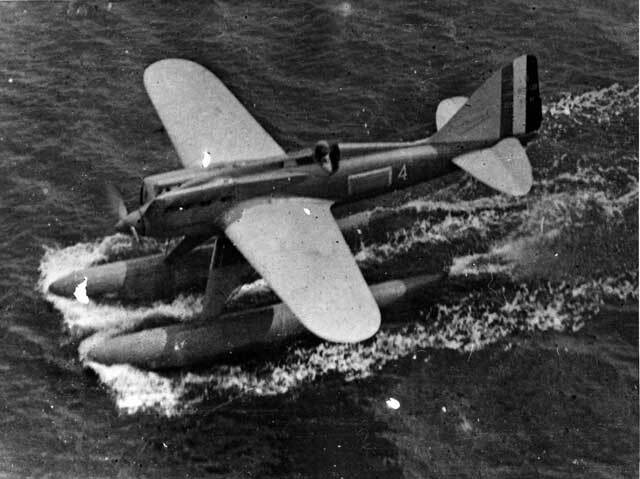 Although the N1B Baby was never taken in production, its design was largely taken over for the new racer, which was named the Sea Lion. It was fitted with the most powerful British liquid-cooled engine of that time, the Napier Lion. It was a biplane flying boat with the engine driving a pusher propeller mounted on a fuselage pylon between the wings. It carried the civil registration G-EALP. During the race it was flown by Basil D. Hobs, but he only flew one lap because of the thick fog. When he retired from the race, the Sea Lion sank because its hull was punctured on an earlier landing. For the 1920 event at Venice, the Supermarine team headed by R.J. Mitchell constructed a second improved racer as the Sea Lion II, but it would not be ready until the next race in 1922. Fitted with a similar powered Napier Lion engine, but with a smaller upper wing and an aerodynamically more refined fuselage, the pilot Henry Biard managed to beat the Italian competition. The Sea Lion II also carried a civil registration: G-EBAH. In fact the Sea Lion II was based on the airframe of the Supermarine Sea King II amphibian scout fighter. This was, however, not the final end of the Sea Lion racer. Mitchell’s team developed it further into the Sea Lion III. This was the original Sea Lion II with a much more aerodynamically refined airframe, although it had the same type of engine; the Napier Lion, but now rated at 550 hp. In the 1923 race at Cowes it was flown with the same civil markings (G-EBAH) as the Sea Lion II. In spite it was far inferior in speed when compared with the winning Curtiss racers (who finished first and second) Henry Biard managed to finish the race at a very credible third place. 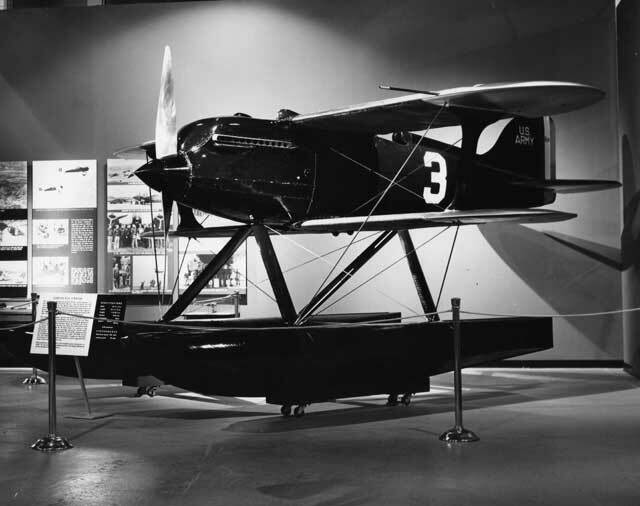 With the arrival of the fast American floatplanes it was evident the days of the flying boat as a competitive racer were over for future Schneider Cup contests! G-EBAH was after the race taken over by the Marine Aircraft Experimental Establishment at Felixstowe as a high speed test plane, carrying the serial number N170. It already crashed on its second flight here, killing Fl. Off. E. Paul-Smith. 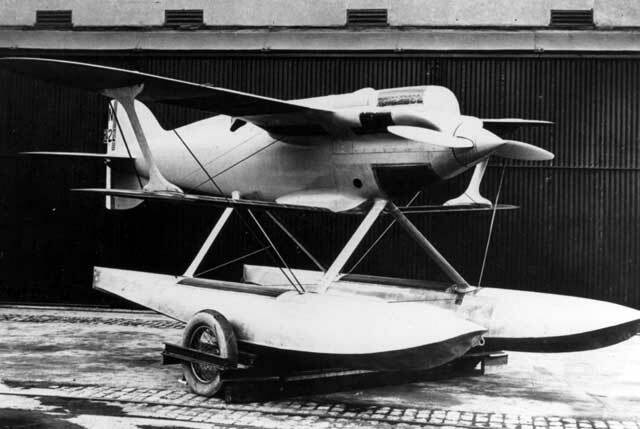 With Great Britain being the host of the Schneider Cop races of 1923, Blackburn decided to design and build a special single-seat/single engine flying boat racer. Fitted with the usual Napier Lion of 450 hp and named Pellet, the Blackburn design was a small biplane flying boat with exceptional clean lines. Capable of reaching a speed of more than 250 km/h it was a very competitive plane. It was entered in the 1923 race at Cowes carrying the civil registration G-EBHF, but it already failed during the preliminary tests where in was found to be so nose-heavy that it ended twice upside-down on the water! Pilot Kenworthy only got a wet suit the first time when he was thrown out of the plane, but the second time he barely escaped drowning. The damaged Pellet was never repaired. On the photo we see the Pellet on the Hamble River after being launched into the water from the Fairey slipway. Gloucester Aircraft Corporation, later abbreviated as Gloster, had developed in the early twenties a remarkable racing plane for the famous aerial derbies. Designed by Henry Folland, it became known as the Gloster Bamel, although its official name was Gloster Mars I. 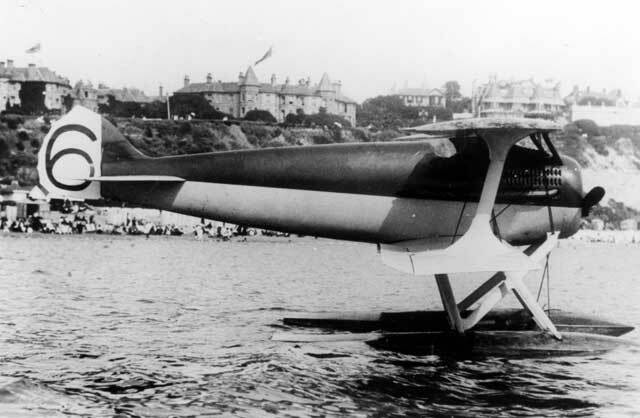 The Bamel was so successful that after its racing career as a land plane it was acquired by the Marine Aircraft Experimental Establishment at Felixstowe. Fitted with floats the small biplane was used as a trainer for the High Speed Flight division pilots. Based on the Gloster I as it was known by that time, Henry Folland’s team built in 1924 a more refined and faster version as the Gloster II floatplane as a racer for the Schneider Cup contest of that year. Unluckily it already crashed during early testing. In spite of this unhappy event, Folland received funds for a new Schneider Cup racer for the next year. Designated the Gloster III it was a biplane on floats fitted with a 700 hp Napier Lion VII engine resembling more or less the U.S. Curtiss racers that dominated the 1924 race. Two were built, carrying the RAF serial numbers N194 and N195. N194 was flown for the first time on 3 June 1925 by the American pilot Bert Hinkler and both racers showed enough potential to be entered for the Schneider Cup event in the U.S.A. However, during the initial trials N194 was damaged and only N195 was able to start. It entered the race together with the new Supermarine S.4 monoplane racer, but only the Gloster III would finish the race on a credible second place behind the Curtiss R3C-2 racer flown by Jimmy Doolittle. Pilot of the Gloster III at Baltimore was Hubert Broad. After the Baltimore race, N195 was further improved, but it was never used again at the next racing event. 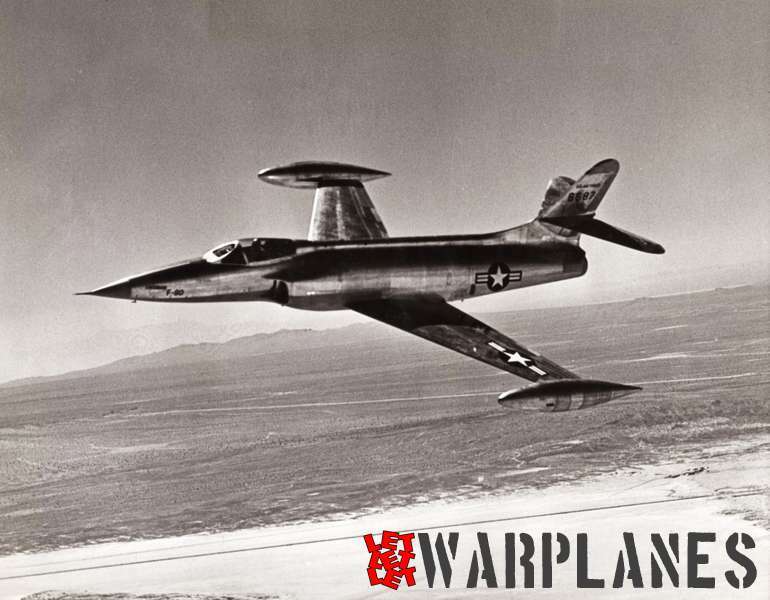 Instead, it served as a trainer for the High Speed Flight pilots. 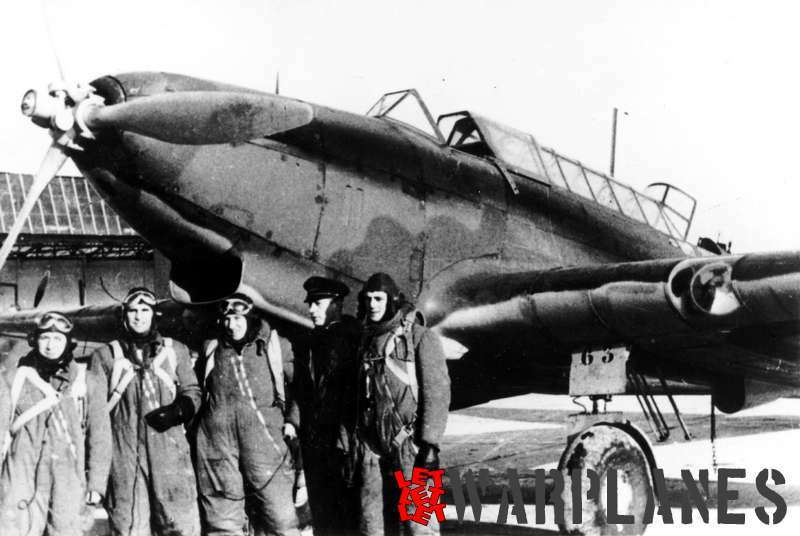 On the photo we see the still unpainted first Gloster III no. N194 shortly after it was completed. The vertical tail was later increased in size for the final racing version. After the 1923 Schneider Cup contest it was evident the Supermarine Sea Lion III was at the end of its development. With the U.S. Curtiss racers as winners of that year, it was evident the Mitchell’s design team at Supermarine had to come up with a completely different design as a possible winner. 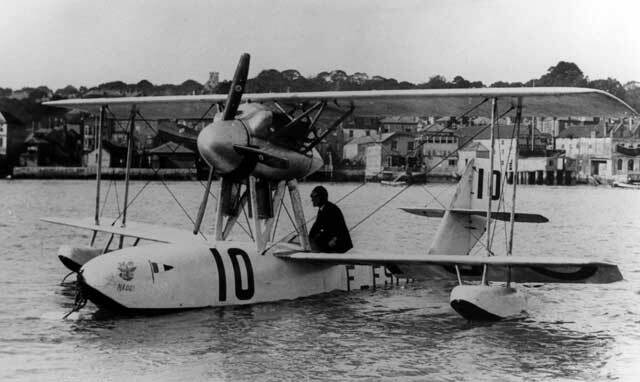 With the Sea Lion I, II and III known at Supermarine as the types S.1, S.2 and S.3, the new racer received the type designation S.4. 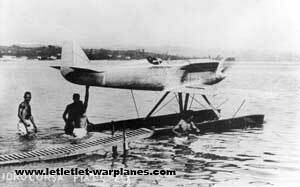 It was a mid-wing cantilever monoplane fitted on two floats fitted with a Napier Lion VII engine producing 700 hp . The S.4 was largely constructed of wood. For the 1925 event in Baltimore one was built. Although the military serial N197 was assigned to the S.4, this was never painted on the fuselage. For the race it was painted glossy white while the metal parts around the engine we kept in bare metal finish. Except for the racing number 4 on both sides of the fuselage, it only carried the Union Jack flag on its rudder. The S.4 was completed in five months time only, making its first flight on 25 August 1925 from Calshot naval air station. Pilot on this occasion was Henri Biard. The flight tests revealed that the S.4 was capable of reaching speeds of more than 360 km/h which was promising enough to enter the machine in the race at Baltimore with Biard as pilot. Unfortunately, Baird already crashed before the race at a high speed run when excessive wing flutter made the racer uncontrollable. Luckily, he survived the crash although he was almost drown. After the failure of the S.4 Mitchell’s team started with a successor based on all the hard lessons learned from this unlucky Schneider Cup racer. 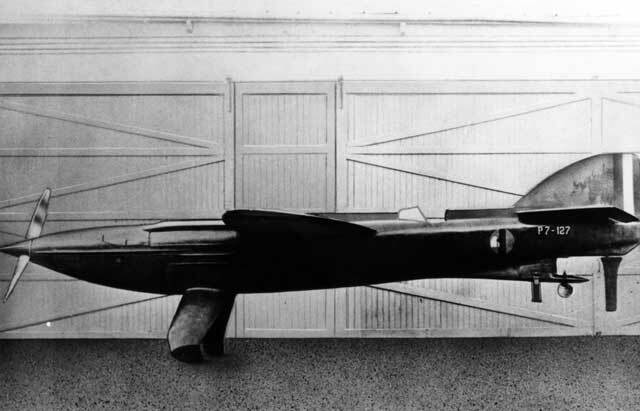 An extensive wind-tunnel program was run to find out the most efficient airframe for the new racer for the next event in 1927. Designated as the Supermarine S.5, Supermarine designed and built an all-metal braced low-wing racer with a Napier Lion engine up-rated to 900 hp. For cooling, extensive use of surface radiators was made with coolers fitted not only on the fuselage, but also on the wings. Three S.5 racers were built, receiving the serial numbers N219, N220 and N221. N219 had a direct-drive engine while the other two had geared Lion engines giving some 25 hp less on the propeller. The first S.5 made its maiden flight on 7 June 1927, flown by Fl. Lt. O.E. Worsley. 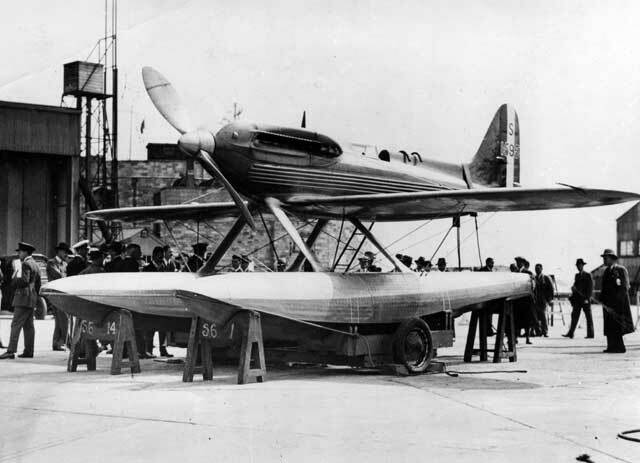 Flight testing progressed without major problems and for the Schneider Cup race at Venice in September 1927 N219 and N220 were shipped to Italy and entered into the race. Both S.5’s were unbeatable and Ft. Lt .N. Webster followed by Ft. Lt. O.E. Worsley finished first and second with respectively the direct-drive N219 and the geared N220. Unfortunately, Ft. Lt. S.M. Kinkead was killed in N221 on 12 March 1928 when he tried to set a world speed record. As a back-up plane for the 1927 race in Venice, Shorts had built a simple low-risk racer fitted with the very reliable Bristol Mercury I radial air-cooled engine of 960 hp. Named Crusader, it was mainly constructed of wood with a very characteristic broad-chord elliptical shaped wing. The Crusader was completed by 18 April 1927 and test flown on several occasions by a number of pilots. However, it met disaster on 11 September when test pilot H.M. Schofield discovered shortly after the start that the controls did not function properly. Schofield crashed it into the water, but fortunately he survived with only a number of painful bruises. The direct reason for the crash was discovered when the wreckage was salvaged and investigated: the control cables for the ailerons were crossed! Based on the earlier Gloster IV biplane, Henry Folland’s team designed an even more refined biplane racer for the next Schneider Cup event as the Gloster V. However, since the racing results obtained with the Gloster IV clearly showed the days of the biplane were over, it was never built. Instead, Folland designed a braced low-wing monoplane racer with a very sleek fuselage as the Gloster VI. In fact, this type bore a close resemblance to the successful Supermarine S.5! Two Gloster VI racers were built for the 1929 race. The Gloster VI was of mixed construction. Fuselage and floats were made from duralumin while the wings were made of wood. They received the serial numbers N249 and N250. 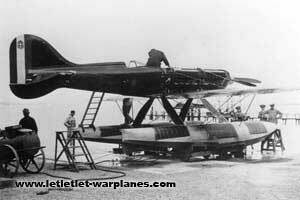 Both machines were supplied to the RAF High Speed Flight at Calshot in August 1929. However, testing went very slowly, not only because of the bad weather, but also because of the fact that the Napier Lion engines refused to run properly at full power. With a power output of 1320 hp it was evident this engine was at the end of its development! Since the engine problems could not be solved in time, both Gloster VI racers were eventually withdrawn. A day after the race, Ft. Lt. Stainford tried to settle a new world-speed record with N249. At last, the Lion worked satisfactory at full power and at a 3 km course, Stainford set a new record of 538 km/h. However, only half an hour later Sq. Ldr. Orlebar broke it already in the new Supermarine S.6! After the event, both Gloster VI’s were used as trainers by the High Speed Flight, but they were only flown on a very limited scale. For the Napier Lion powered Supermarine S.5 it was more or less evident that this engine was at the end of its development and that a new high-powered engine was needed to win the Schneider Cup event. When Rolls Royce offered their new racing engine Type “R” to Mitchell’s team, Supermarine started with the design and construction for a suitable airframe for this engine. Type “R” was a large twelve cylinder liquid-cooled V6 engine producing 1900 hp. The Rolls Royce “R” was larger than the earlier Napier Lion and as a consequence the fuselage of the new racer, designated as the S.6, was somewhat larger than that of the S.5. For the rest, both types were more or less similar although the S.6 also had slightly larger floats. For the 1929 Schneider Cup race two S.6’s were built, carrying the serial numbers N247 and N248. Both machines were painted in a very attractive blue and silver colour scheme. The S.6 N247 was flown for the first time on 10 August 1929 by Sq. Ldr. A.H. Orlebar. 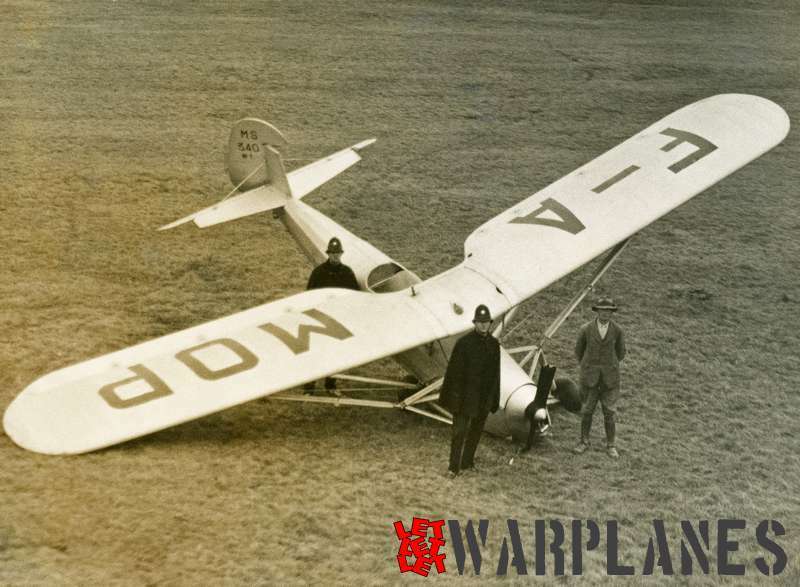 On 25 August 1929 Orlebar made the first flight in N248. Both machines handled very well and fully met the expectations for speed! Both machines were entered in the 1929 race and both planes finished first and second so it seemed. They were flown by Fl. off. H.R. Wagman and Fl. Off. R.L.R Atcherly at an average speed of respectively 528.9 and 523.9 km/h. Unfortunately, Atcherly was disqualified after the race for cutting a pylon, but at least, the U.K. had now won two respective races and only needed a third to come in the final possession of the trophy! For the next race in 1931, financials seemed to prevent them from being held. Both Italians and Americans had already announced that they had no racers available in time for this event and when the RAF staff declared they saw no further use in the development of these highly specialized seaplanes it was almost the end of the race of that year. Fortunately a wealthy widow, Lady Houston, gave sufficient financial back-up to prepare two S.6’s for the race. They were fitted with more powerful Rolls Royce “R” engines producing 2350 hp. Designated as the S.6B and fitted with serial numbers S1595 and S1596 they were both entered in the race, but eventually only S1595 flown by John Boothman entered the race as only participant. He finished with an average speed of 547 km/h and finally won the trophy for the U.K.! After the race, the S.6B S1595 established a new world speed record of 655.8 km/h. It was flown by ft. Lt. G.H. Stainford on 29 September 1931. On this occasion the engine was further boosted until it produced 2600 hp. The S.6B S1595 is now exhibited in the Science Museum in London. In the 1923 Schneider Cup race at Cowes in the U.K., American planes and pilots participated for the first time. Lt. Frank Wead had to withdrawn in his Navy-Wright TR-3A racer, but Lt. David Rittenhouse and Lt. Rutledge Irvine won the race very convincingly at first and second place with a speed margin of some 35 km/h over no. 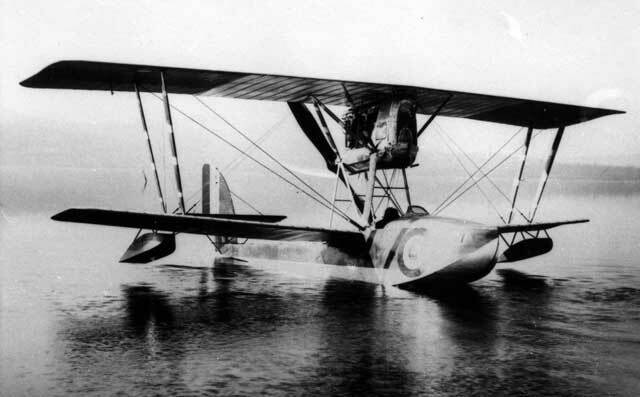 3, the Supermarine Sea Lion III. 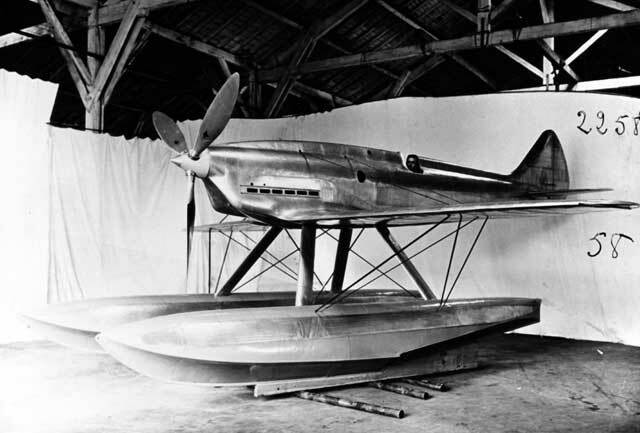 Instead of the usual small high-powered flying boats of the earlier events they entered the race in a totally new Curtiss floatplane racer fitted with a Curtiss D-12 engine of 465 hp. Designated as the CR-3, they were in fact not totally new, but further improved racers already used on earlier occasions in the U.S.A. as a landplane fitted with wheels. The CR-3 was a biplane with braced wings fitted with flush-type surface radiators fitted in the upper wings. Two CR-3’s were built, carrying the serial numbers A-3080 and A-3081. The U.S. Navy sponsored planes were entered in the race carrying the racing numbers 3 and 4 on the rudder and fuselage. 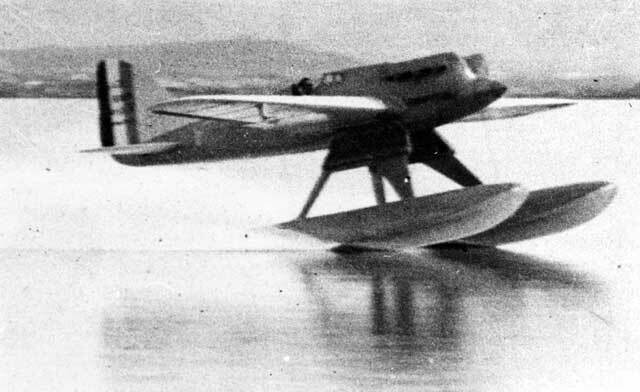 After the success of the CR-3, Curtiss converted a more developed and aerodynamically refined landplane racer, the R2C-1 into a Schneider Cup racer on floats as the R2C-2. It was specially built for the 1924 race in the U.S.A. but since this was cancelled the R2C-2 was never entered. Instead, it served as a trainer for the next year event in 1925. 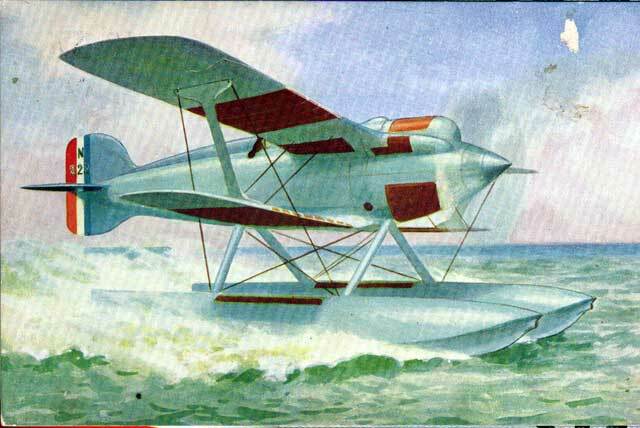 For this race, Curtiss had converted three new R3C-1 landplane racers into Schneider Cup floatplane racers. Three R3C-1’s were built, carrying the registrations A6978, A6979 and A7054. All three were converted with floats for the Schneider Cup, and all were finally entered in the race at Baltimore. A6978, carrying race number 3, was flown by U.S. Army pilot Lt. James Doolittle. A6979 and A7054, carrying race numbers 2 and 1, were flown by U.S. Navy pilots Lt. George Cuddihy and Lt. Ralph Ofstie. 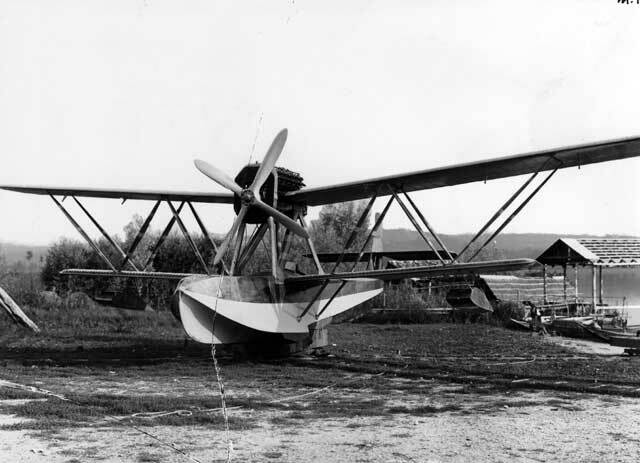 The R3C-2 was fitted with a 600 hp Curtiss V-1400 engine, driving big two-bladed Reed aluminium propellers. Doolittle won the 1925 race with a large margin over the second plane, the British Gloster III flown by Hubert Broad. The other two R3C-2’s had to retire during the race. In the 1926 race at Hampton Road, one R3C-2 (no. A6978) was again entered in the race, flown by Lt. Frank Schilt. He finished second behind the Macchi M.39 monoplane racer flown by Mario de Bernardi. 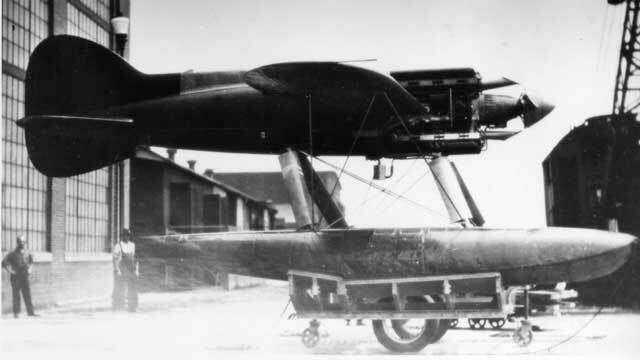 An improved version of the third R3C-2 no. A7054 was also entered this year, but it crashed already during the preliminary trials. It was evident the time of the biplane racer was over……. For the 1927 race, both U.S Army and U. S Navy didnot give any support for new racers since it was evident the Curtiss racers were at the peak of their development and the design of new monoplane racers was not a priority any longer because of their extreme costs. Fortunately a group of interested businessmen were prepared to raise some $100,000 for the design and construction of a new competitive racing machine. Based on the ideas of racing pilot Al Williams, former Curtiss employee Charles Kirkham designed and built in his newly established workshop at Long Island, New York a wooden biplane racer largely based on the Curtiss racers. Packard supplied a new and very powerful liquid-cooled engine for this project: the Packard X-2775 engine of 1250 hp. In fact this engine consisted of two 625 hp Packard V-1500 V-12 engines coupled with a mutual crankcase with one part upright and the other one inverted to form a 24-cylinder X-type engine with four rows of six cylinders. In this form, the new Kirkham-William racer as it was called was the most powerful biplane racer ever built for the Schneider Cup event. The racing team was, however, not very lucky with the new racer since its had only accumulated very flew flying hours before the race in Venice. They asked the organizing committee for a time extension, but because this was not granted the entry for the race had to be withdrawn. It was later converted to a landplane with a fixed wheel undercarriage and manage to set a new world-speed record of 519 km/h but this record was never officially recognized. After the failure of the Kirkham-Williams biplaneracer to perform in the 1927 Schneider Cup race, the Americans made a last attempt for the 1929 race at Calshot, U.K. The original biplane racer was totally redesigned into a mid-wing monoplane racer with an even more powerful Packard X-2775 engine producing 1500 hp. It was named Mercury I. The work was done by the Naval Aircraft Factory at Philadelphia under great secrecy. Racing Pilot Al Williams was again a leading individual in this project. Great care was taken for aerodynamic shaping of the racer using wind-tunnel data from tests with scale models and the result was an extremely good-looking racer. 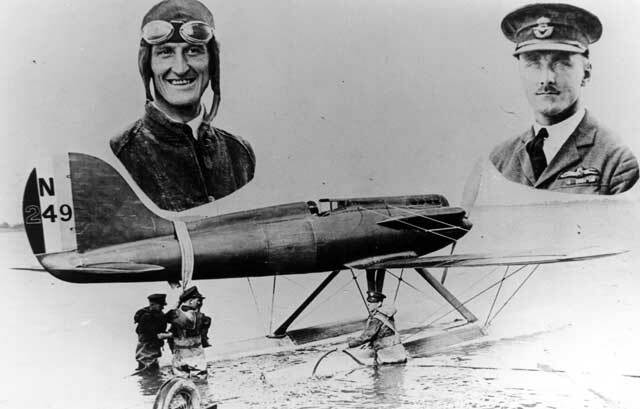 Upon completion, Al Williams did the initial flight-testing with the lower rated engine from the biplane racer near the Santee Wharf of the Annapolis Military Academy. 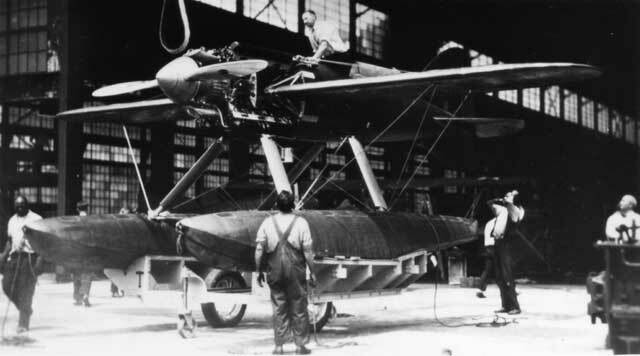 Because the both floats were buried very deep in the water, and the torque of the big Packard engine produced a tendency for the left wing to dig into the water he hardly managed to become airborne in the plane because the use of full rudder and ailerons to keep the plane on a straight course produced too much drag. He was also troubled by water spray hitting the propeller and fuselage. He finally managed to make a short hop with the Mercury but because of a fuel pressure drop he had to land on the water again, resulting in a bending propeller. In spite of these problems, the Mercury was a very promising type and the disappointment of Williams group must have been great when the U.S. Navy declined a request to transport the Mercury by vessel to the U.K! They had no other choice than withdrawing their entry in the race…. After the initial success of Maurice Prévost during the first Schneider Cup race in 1913, the French never dominated this event any longer. In none of the races after 1913, they even managed to finish! The last year that France officially entered the Schneider Cup race was in 1923 at Cowes, U.K. where they initially entered three planes: the Latham L.1, the CAMS 38 and the CAMS 36. All three racers were biplane flying boats at a time the floatplanes came in to win! Only the CAMS 38 managed to start during the race where it already retired after one lap. The Latham L.1 did not start because of an engine failure while the CAMS 36 was damaged in a collision before the race. 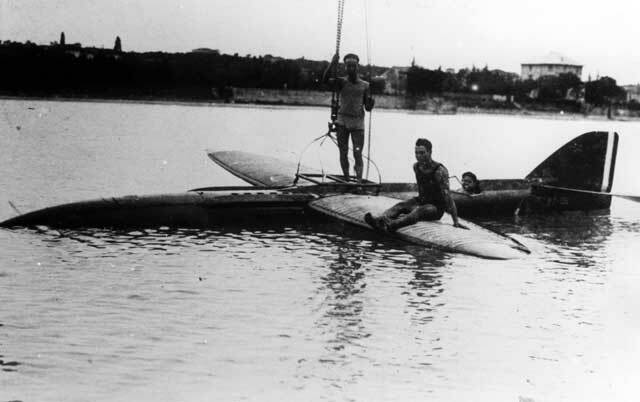 Determined to make a last effort to win the Schneider Cup, the French Ministry of Marine established a special training base at Etang de Berre on Lake Hourtin near Marseille and a special group of pilots was selected for the 1929 event. 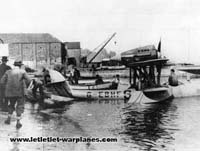 Three aircraft manufacturers, Bernard, Dewoitine and Nieuport-Delage were invited to design and construct a new generation of winning floatplane racers using the same configuration as the successful Italian and British racers. However, all machine were too late available to enter the 1929 race and the 1931 event was selected as the next occasion. Unfortunately, the French team lost their leader in a fatal crash with the Bernard HV.120. Another pilot died of peritonitis at the very young age of 34. Also, none of the racers was ready to participate in the 1931 race at Calshot UK at finally the French team had to withdraw. On the photo we see the Bernard HV-40.01 racer in the hangar at Berre fitted with an 800 hp Gnome-Rhône radial engine with closed helmeted cowlings for each cylinder, just as had been done with the British Short Crusader racer. The HV-40 flew for the first time in July 1931 and only one was built. Since it was already apparent before its first flight it was not a competitive machine with its maximum speed of only 400 km/h, it was used as a trainer by the pilot team. A further developed Société des Avions Bernard float racer was designed by Roger Robert and S.G. Bruner under the type designation HV-41. Powered by an 1,000 hp Hispano-Suiza ‘Spécial’ the aircraft flew for the first time in August 1929. After the crash of Adjutant Florentin Bonnet in a Nieuport-Delage NiD-62, France withdrew from the contest of 1929 and the H.V.41 was used as a training aircraft for the 1931 contest. On the photo we see the HV-41 at Hourtin during engine tests in 1929. The plane could reach a maximum speed of 450 km/h. Only one was built. Originally it was the intention to enter the 1929 race with a modified HV-41 with a more powerful engine with improved cooling. In total three of these racers were built, where the original HV-41 was converted up to HV-42 standards. Fatalities during flight testing and because it was already apparent they were not fast enough were the reasons none of the HV-42’s were finally entered into the 1929 race. For the 1931 race at Calshot, Hispano-Suiza hadprepared a new racing engine, the 1680 hp 18R. Two new Bernard floatplane racers were built and fitted with the new engine under the type designations HV-120.01 and HV-120.02. They carried the civil registrations F-AKAK and F-AKAL. HV-120.01 had a geared engine while the second machine had a direct drive to the three-bladed propeller. The HV-120 was flown for the first time on 25 March 1930 and could reach a speed of 540 km/h. The HV.120.02 crashed on 30 July 1931 at Berre, killing the flight section commander Georges Bougault. Again, none of the racers of the French were ready in time for the race at Calshot and they had no other option than withdrawing. The ultimate Bernard Schneider Cup racer was the HV-220 intended for the 1931 race. It was planned with a new Lorraine 12Rcr ‘Radium’ liquid-cooled engine offering some 2000-2200 hp. This would give the plane a maximum speed of some 640 km/h. Unfortunately for Bernard the Radium engine was never supplied although the HV-220 airframe was completed including its contra-rotating two-bladed propellers. A further development was the HV-320 with a cockpit totally sunken in the fuselage to produce minimal drag. This type was intended to break the world speed record, but the record set by Francesco Agello in the Macchi-Castoldi MC-72 must have shattered these French dreams and the airframe was never completed. On the photo we see the completed Bernard HV-220 without its engine fitted, although this is not visible. As a backup for the Bernard HV-220 and the Nieuport-Delage ND.650, Dewoitine also constructed a last generation Schneider Cup racer as the HD-412. Planned with the same Lorraine Radium engine as intended for the HV-220 it would have been capable of reaching speeds of some 575-600 km/h. The fate of the HD.412 was the same as for the Bernard HV-220: the special Radium engine was never fitted although the airframe was fully completed and the plane never flew. So ended a very unlucky and frustrating period for the French aviation industry which was clearly incapable to produce a competing Schneider Cup racer! The results of all Schneider Cup races can be summarized in the next table, although a full book can be written about these spectacular and crowd-attracting events. These books ARE in fact written: see literature list. At some of the races more than 200,000 spectators were present! -U.S. citizens Harmon J. Norton in 1923 in a Curtiss CR-3 and Franck Connaut in 1926. -Sam Kinkhead in 1928 and Jerry Brinton in 1931 in a Supermarine S.5, from Great-Britain. -Italy had five casualties: Vittorio Centurione in 1926 in a Macchi M-39; Giuseppe Motta in 1929 in a Macchi M-67; Tomasso Dal Molin in 1930 in a Savoia S.65; Giovani Monti and Stanislao Bellini in 1931 in a Macchi MC-72. A fantastic summary of the Schneider Racers. Request info ref: Bill Odom: I believe he crashed at the Cleveland Air Races, but I cannot recall the year. I was there, and saw Jacklie Cochrane -in stoking feet- up on the shiny-green wing of Bill Odoms’ Mustang, as he was preparing for T.O. As I recall, he was lost on the third circuit? Great read! Bookmarked for sure m8! Great reading! And I have one question – may I translate this text in Russian and put it into my blog – with links on this page and all the credits, of course. Just for our Flying Crew!..I´m 42, Captain and I see that many college have lack in aviation history ! I would like to send you a PDF about the Thema “Schneider Race” and hope that´s you allowed me to publish them! Thank you very much for your kind words. I would be glad to accept your pdf offer and to share with others. Wonderful story! Well done! Are larger photos available on the net? The photo of the S.4 in the water is only the second one I have seen of that airplane. The book “Ali D’Italia #26, IDROCORSA MACCHI Schneider Cup Racers” by Giorgio Apostolo and Gianni Cattaneo has two different three-view versions of the MC-72. Hi, great article on the Schneider Trophy and those magnificent men and machines. One small correction, you mentioned the “American” test pilot of the Gloster – Bert Hinkler. He is actually an Australian. I only know because they have a wonderful museum built as a tribute to his aviation trailblazing in his hometown of Bundaberg in Queensland. Trivial reply I know, but he was an aviation pioneer to us Aussies. Cheers. Ralph Pegram has just had SCHNEIDER TROPHY SEAPLANES AND FLYING BOATS published (Fonthill, 2012). A very thorough, well researched book with drawings of all the Schneider Trophy planes, flown or unflown. Might I also mention my own book (!) SCHNEIDER TROPHY TO SPITFIRE (Haynes, 2008) which traces in detail for the first time the design career of R.J. Mitchell – with particular ref. to the importance of the Schneider Trophy in his career. I concur with the comments of the others ……. a tremendous effort …..a substantive compilation putting the work and involvement of so many into historic context – an epic time of human endeavour which is now so largely forgotten. Well done. However, the text may still require some proof reading – at least the couple of areas with which I am familiar contain misquotes and misspelt names – As mentioned by Jason Dechaineux, Bert Hinkler was not, as you wrote, a Yank, but a Queenslander (ie/ not American but an Australian). Also Flt Lt G.H. Stainforth, a long-time member of the High Speed Flight (part of an illustrious career as an RAF test pilot) is referred to in your text as Stainford – a quite different name. Ref. for part see “Supermarine Aircraft” C.F. Andrews & E.B. Morgan. 1981,ISBN 0 85177 800 3. Reprinted 1987.